So today and tomorrow, I’ll be featuring recipes starting this crustacean. 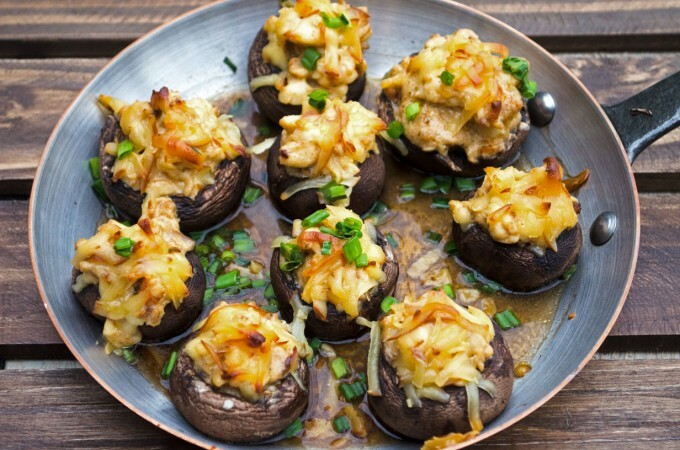 Today, we will be starting off with these Lobster Stuffed Mushrooms. 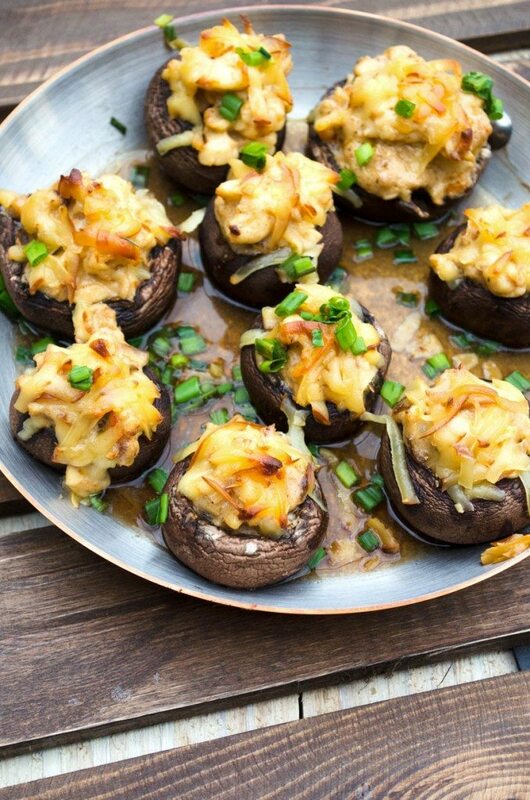 I wanted to do something different, and since my Lobster Mashed Potatoes turned out so amazingly well, I though perhaps I could do something similar with stuffed mushrooms- one of my favorite appetizers. Maybe I could take something ordinary- a veritable blank slate, if you will, and elevate it to something extraordinary. These turned out wonderfully. They are packed with flavor, thanks to the addition of my favorite spice blend- you guessed it, Old Bay. [You’d think this blog was sponsored by them at this point, but nope!] I think there is some sort of rule that says you shouldn’t combine lobster and cheese- I say to hell with the rules! Top those off with some shredded smoked gouda!! Resultantly, these are insanely rich and kind of filling. If you’re making these for a party, I would plan on making 2 per person. In a small skillet, heat 2 T olive oil over medium heat. Add the sliced shallots to the pan and saute until caramelized. Add the lobster, cream cheese and Old Bay to the skillet and turn the heat to medium low. Stir frequently until the cheese has melted and lobster is partially cooked, 3-4 minutes. Remove from heat and stir in the chives. Place the mushrooms in a baking dish so the opening is facing up. Spoon the mixture into the mushrooms caps, then sprinkle with the gouda. Heat a broiler on HI. 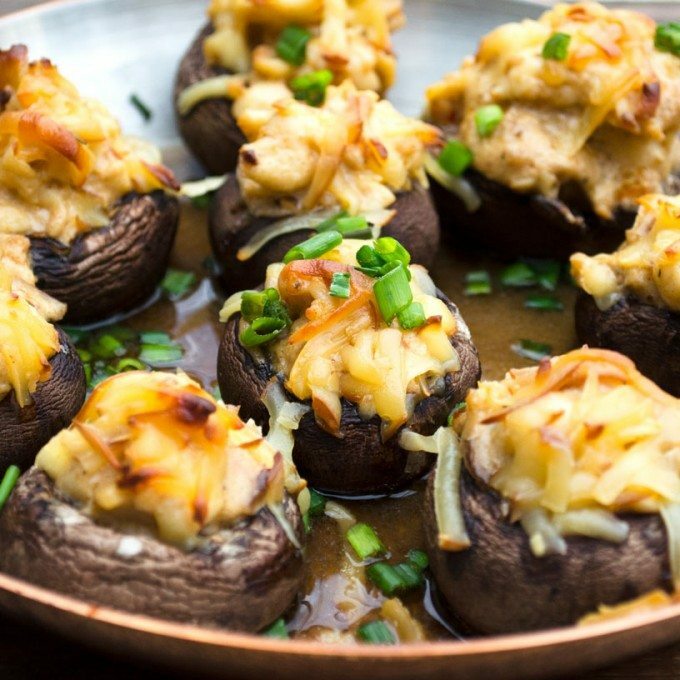 Place the mushrooms under the broiler until the cheese has melted, 2-3 minutes. Garnish with the green onions and serve hot. 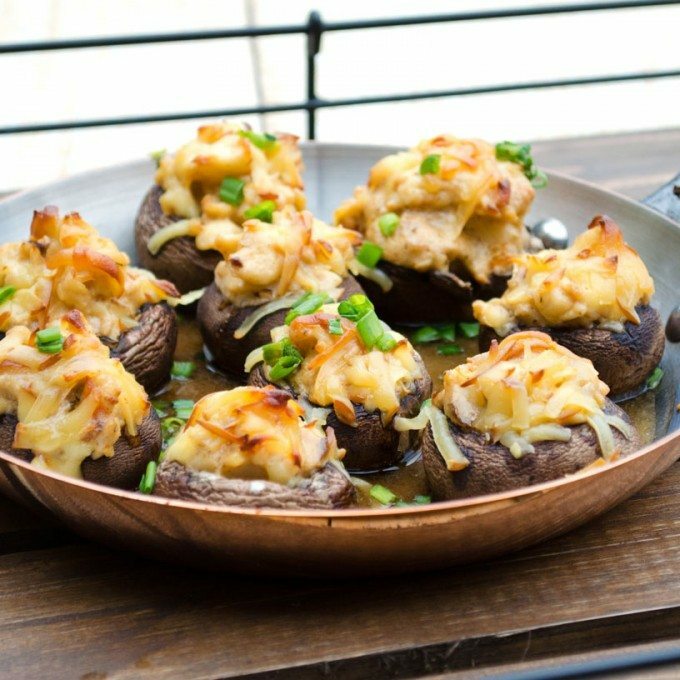 Lobster is my favorite seafood choice, so these stuffed mushrooms are right up my alley! They look so tasty! Oh my goodness do those look amazing or what?! Also, I’m very jealous that you have a problem of too much lobster. That has never been a thing at my house, but I really wish it was! Clearly, I need to move to the East coast, where it’s a little more prevalent! 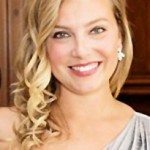 I have made these for my wife twice now and she absolutely loves them. 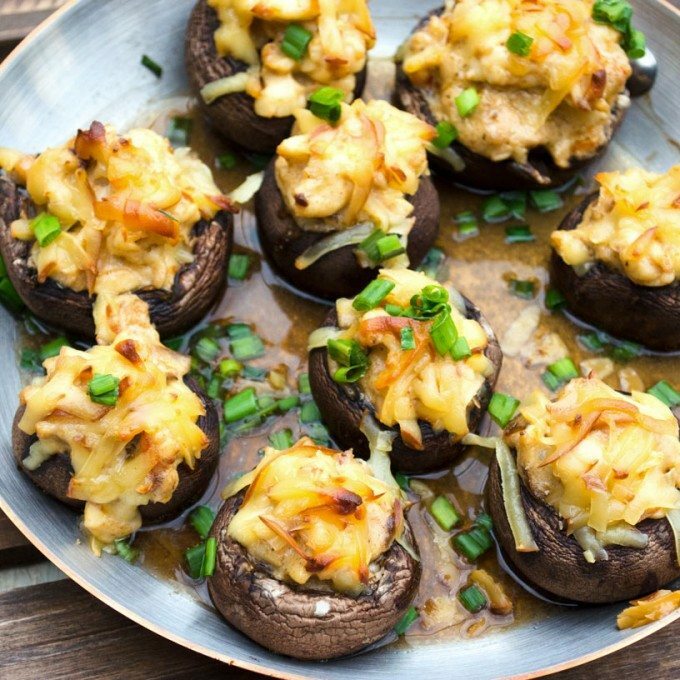 One thing that needs to be done that helps this recipe that is not mentioned is that I find they taste a whole lot better when the mushrooms are baked for about 10 minutes on 300 degrees. while you are preparing the mixture to stuff them with, This is absolutely a hit at my house. 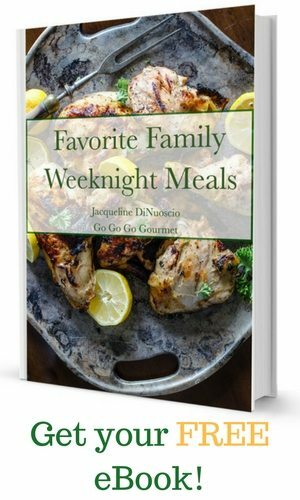 Thank you so much for this wonderful recipe.